A payments services provider has become the second Israeli company to open a Manchester base in recent weeks. 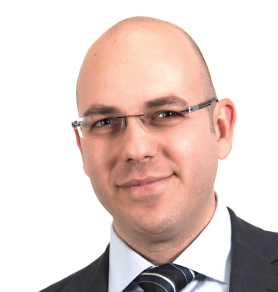 Fibonatix, which is headquartered in Bnei Brak, follows online advertising and social media business Sanabil Digital, which last month opened in MediaCityUK. Established in 2013 as a consultancy specialising in payment-related issues, Fibonatix now offers a full turnkey solution, including services such as credit/debit card processing and wire transfers. It will be temporarily located in Deansgate’s Centurion House before taking permanent residence in XYZ in Spinningfields in April. "We view the North West as the developing centre of the UK’s payments industry and we wanted to be right in the centre of it," said Tal Miller, chief executive of Fibonatix. "The payment solutions we offer focus on online businesses, and our staff members in Manchester have their unique areas of expertise which include compliance and underwriting, risk management and finance. "We believe in working with and developing local talent so decided to recruit from Manchester. In the long-term, the plan is to grow our UK workforce and expand the company’s international reach." Tim Newns, chief executive of inward investment agency MIDAS, added: "Fibonatix is a great addition to the ecosystem and they will be looking to connect with the fintech hubs across the city such as Rise Manchester and the soon to open Vault in Spinningfields," he added. “With the tech back office function of a number of high street banks and insurance firms being located in Greater Manchester there is a real market opportunity for FinTechs in the city. As one of Europe’s leading e-commerce centres, there is an appetite for new payment platforms to deliver to a growing global market."